The U.S.-based company is about to start commercial production of genetically modified salmon in Rollo Bay, P.E.I. U.S.-based company about to start commercial production of genetically modified salmon in P.E.I. The U.S.-based company that's about to start the commercial production of genetically modified salmon in P.E.I. says it's considering labelling the product as such. However, it's not clear what exactly AquaBounty Technologies intends to tell consumers about the fish, which are modified with a growth hormone gene to make them grow faster. "We are considering our labelling options and working with potential customers to determine the appropriate approach," a spokesperson for AquaBounty said in a statement sent to CBC News. The genetically modified salmon, produced in indoor tanks in Rollo Bay, P.E.I., will become the first genetically engineered food animal made in Canada to be sold in Canadian grocery stores. Environment Canada and Health Canada have given their approval, but it's up to the latter to determine whether products require labelling. "Health Canada requires labelling for food products where clear, scientifically established health risks or significant nutritional changes have been identified that can be mitigated through labelling," said spokesperson Maryse Durette. 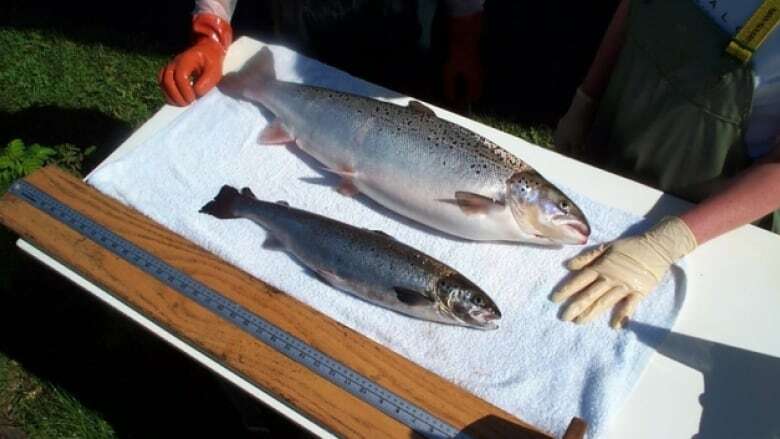 After a four-year study, the federal agency has determined the genetically modified salmon to be "safe and nutritious" and therefore no labelling is required. AquaBounty's most recent statement on labelling is news to Sylvain Charlebois, a Dalhousie University professor in food distribution and policy. 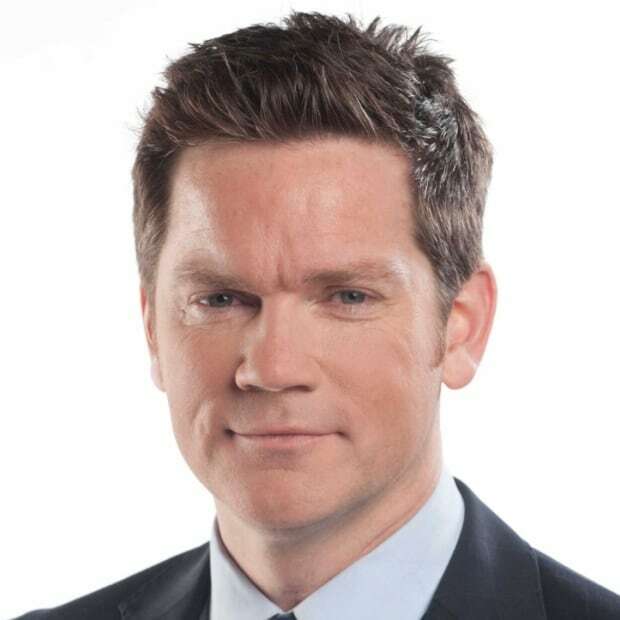 "I did encourage AquaBounty to reconsider its policy around transparency and risk communication," he said Sunday on CBC Radio's Maritime Connection. "It is a pleasant surprise to me because I do think that the industry is starting to realize how important it is to connect with the public more so than ever before to get that social licence." AquaBounty Technologies is planning to grow 250 tonnes of its AquAdvantage salmon in Rollo Bay. The fish will be on the market in late 2020. The company's AquAdvantage salmon grow faster than regular salmon. A growth hormone gene from Chinook salmon and proteins from ocean pout, a type of eel, are spliced into the genes of an Atlantic salmon. Lucy Sharratt, of the Canadian Biotechnology Action Network, said she doesn't expect AquaBounty to follow through on any clear labelling. "If you leave the labelling to industry rather than mandatory government standard then who knows what you will see and the potential is greater confusion." Mark Butler, of Halifax's Ecology Action Centre, has long opposed the genetically engineered salmon and said he believes AquaBounty has no intention of putting any clear marking on any fish-food product that contains genetically modified salmon. He noted AquaBounty has been selling genetically modified salmon in Canada since it was approved by Health Canada in May 2016. That salmon is made in Panama using Canadian eggs. The company has said little about where it's being sold, only that a Canadian buyer uses the fish in their lines of high-end sashimi. "I haven't followed closely their statements on labelling," Butler said. "I have followed their actions and they sold — and perhaps are still selling — GM salmon to Canadians with absolutely no labelling. It's still a pretty loose statement."